Build a backyard barbeque for your outdoor spaces with one of these free barbeque plans. 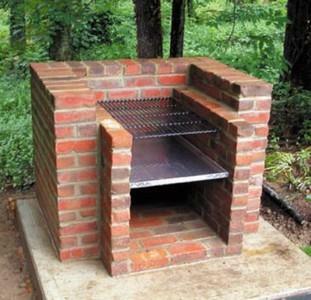 This plan will help you build a strong and durable brick barbecue that will last a lifetime. Here is a project for a handsome barbecue island with wood frame, tile counter and stone veneer. Here are complete illustrations on how to build an outdoor barbecue. Choose from several different plans for your drop-in BBQ. 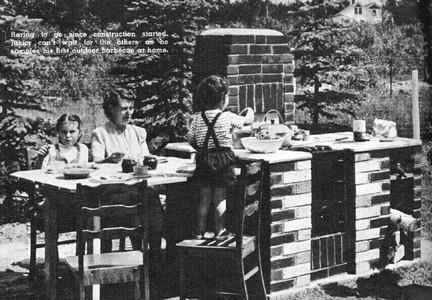 A brick barbecue can be a useful addition to your yard for anyone who likes working with their hands. Space and a little time is all you need to install a permanent picnic right at home. 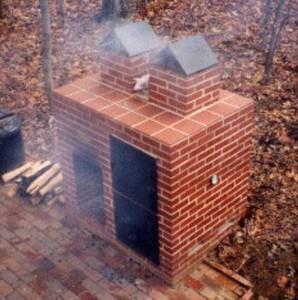 This is a great BBQ smoker that has pictures of the finished project. Build your own barbecue pit - a perfect project for the extreme do-it-yourselfer who doubles as a serious chef.